For the first time, the UFC will head to Chile this weekend with a card topped by welterweight standout Kamaru Usman taking on former title challenger Demian Maia in a five-round main event. Usman has been tearing through the competition since winning The Ultimate Fighter, but this will definitely be his biggest test to date as Maia looks to rebound after suffering back-to-back losses. In the co-main event, another Ultimate Fighter winner will look to crack the top 10, as Tatiana Suarez takes on highly-touted prospect Alexa Grasso in an intriguing matchup at 115 pounds. Light heavyweights Jared Cannonier and Dominick Reyes will also try to put on a show in another featured bout on the main card on Saturday night. In today's fantasy preview, we'll examine these matchups and several more to see who has the advantage going into the event and if there might be an upset or two brewing at UFC Fight Night: Maia vs. Usman. 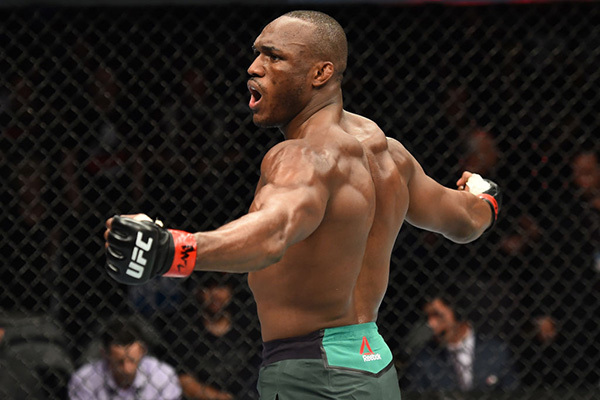 Over the past two years, Kamaru Usman has quietly gone on one of the longest winning streaks in the welterweight division while making a steady climb up the rankings. Unfortunately, Usman hasn't been able to face a higher-ranked opponent until now, as he prepares to take on former title challenger Demian Maia. Of course it's no secret what Maia does best, as he has an innate ability to get on the inside of his opponent's reach and then wrestle them to the ground, where he applies his world-class Brazilian jiu-jitsu game. Maia has submitted numerous fighters in the UFC and the ones who survived with him on the ground still typically walk away with a defeat on their records thanks to his dominant grappling on the mat. Maia has worked on his striking quite a bit over the years, but his run towards the welterweight title that culminated in a shot at champion Tyron Woodley last year was mostly predicated on his ground game and ability to out grapple his opponents. That's where Maia could run into some trouble in this main event as he's facing off with a third straight wrestler after dropping back-to-back fights to opponents with a similar style. Usman is a former NCAA Division II National Champion who averages just under five takedowns per fight with almost 48 percent accuracy when he wants to take the fight to the ground. Perh aps a more important stat is that Usman has never been taken down in his UFC career, which makes the task that much more difficult for Maia in this fight. In addition to his wrestling, Usman has worked tirelessly to match his striking to his grappling, so he's just as dangerous on his feet as he is in on the mat. Usman earned a knockout two fights ago and battled on the feet for various moments in his last fight against noted striker Emil Meek. Usman has to know that Maia's best chance of winning this fight is to drag the action to the mat so he's likely going to do everything in his power to keep it standing. Because Maia has struggled against a pair of wrestlers in consecutive fights, it's tough to know just how much he 's worked on varying his takedowns to drag Usman down to the mat in this matchup. If he can't get the fight to the ground, Usman's power, reach and ability to pour on the punishment round after round will become a serious problem. 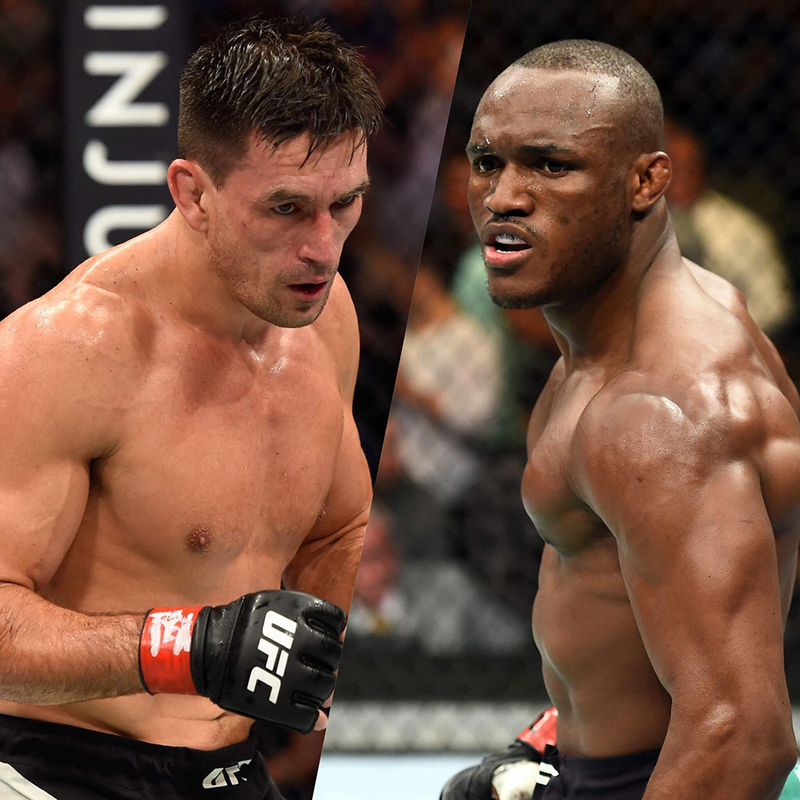 Usman might even manage to mix in some late takedowns past the second or third round just to show off his dominance in all areas of the fight. Of course, Usman can't make any mistakes if the fight does hit the ground or he might be wrapped up in a submission, regretting that decision a moment later. Still, Usman's power, combined with his wrestling defense, should start to wear on Maia as the fight moves forward into the championship rounds, and that may allow "The Nigerian Nightmare" to score the finish. Expect fireworks in this light heavyweight matchup between Jared Cannonier and undefeated prospect Dominick Reyes. Reyes has gone 8-0 during his career with a pair of finishes in his first two fights in the UFC, but this will undoubtedly be the toughest matchup he's faced thus far. At his best, Reyes is a very long fighter for the light heavyweight division, as he'll be towering over Cannonier with a five-inch height advantage. Reyes is very good in all facets of the game, including a high output striking attack where he's averaging more than seven significant strikes landed per fight mixed together with a dominant grappling arsenal where he's also taken down his opponents nearly four times per fight. Reyes will need that kind of varied attack to avoid the power punches that will be coming at his head early and often from Cannonier. Cannonier is a savage knockout artist with incredible power in his hands and he'll absolutely be gunning for the knockout in this one. 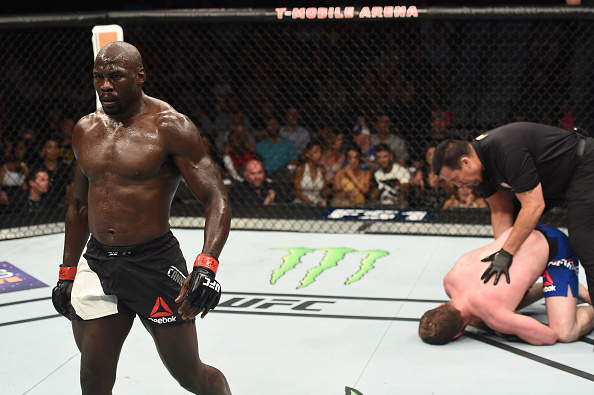 While he's suffered a couple recent setbacks in his career, Cannonier has feasted on anybody outside the top 15, with his only losses at light heavyweight coming against current top 10 ranked fighters Glover Teixeira and Jan Blachowicz. In his other two fights at light heavyweight, Cannonier has earned a knockout and a Fight of the Night bonus, so he'll definitely be a dangerous fighter to deal with from the start of this bout until the finish. The key for Cannonier is finding a home for his best punches while going against Reyes, who has suspect defense at best. Reyes has only stopped 44 percent of the strikes against him on the feet and that can't continue if he hopes on surviving the kind of barrage he'll face in this matchup. Reyes does have very solid takedowns, so he should rely on his wrestling to counter Cannonier, who has struggled to stay off the mat in some of his past fights. If Reyes can't take Cannonier to the ground, he's going to absorb a lot of shots on the feet and there's only so many he can eat before "Tha Killa Gorilla" lands that knockout blow. One of the most underrated matchups on the entire card is this fight between two Ultimate Fighter alums as Vicente Luque takes on Chad Laprise, who is looking for his third straight win since returning to the welterweight division. Laprise is best known for his striking arsenal, where he lands nearly five significant shots per minute with over 42 percent accuracy. He is a very active fighter on the feet as he looks to land with both volume and power, and he also shows solid defense when striking, which will certainly help him against another tough standup fighter in Luque. Luque will enjoy a four-inch reach advantage, with his output on the feet very similar to Laprise. Luque actually lands with better accuracy than Laprise and he absorbs less damage per minute than his opponent. Add to that, Luque is extremely slick on the ground, where he's wrapped up three submission wins in his UFC career while possessing nasty D'Arce and anaconda chokes on the ground. Luque knows that his striking is dangerous, but he's also well aware that if this fight hits the ground, he has a huge advantage over Laprise on the mat. That's why Luque remains a solid pick in this welterweight matchup as long as he can avoid eating a big shot from Laprise on the feet. 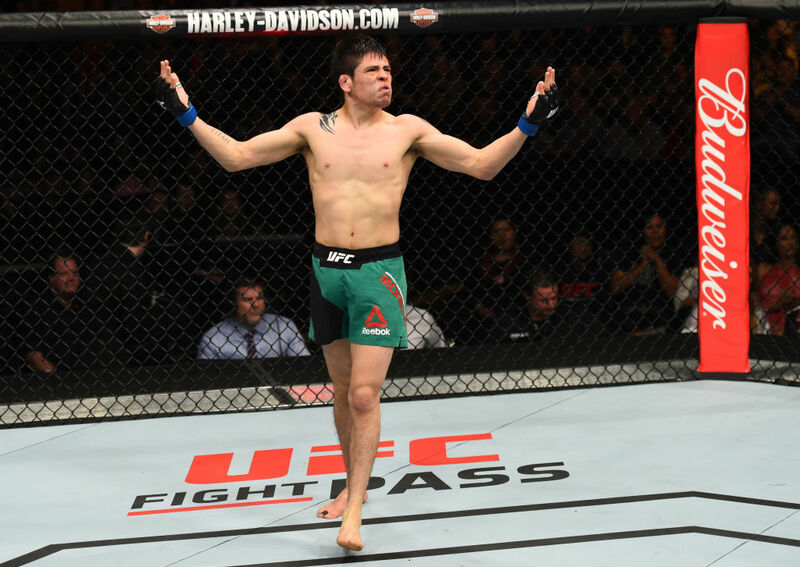 In a rematch from season 24 of The Ultimate Fighter, Brandon Moreno will look to avenge a previous loss to Alexandre Pantoja when they meet on the preliminary card at UFC Fight Night from Chile. Since that first fight, Moreno has rocketed up the rankings with several impressive wins, including a submission victory over Dustin Ortiz. On the other side, Pantoja's only loss in the UFC came by decision to Ortiz in January. Moreno has shown dramatic improvements since the last time he saw Pantoja in the Octagon as he's become a very slick grappler with good power on the feet as well. Moreno may be most dangerous in the scrambles, where he seems to take advantage of the slightest of mistakes from his opponents. Now Pantoja will still present some of the same problems for Moreno that he did the first time around, with a dominant submission arsenal as well as underrated skills on the feet. Pantoja actually lands with better volume and striking than Moreno, so it's that output that will benefit him in the rematch as well. Pantoja is obviously very dangerous on the mat as well, with a well-versed submission arsenal that will give anybody at 125 pounds in the UFC trouble. Where Moreno can take advantage is by feasting on Pantoja if he tries to transition from striker to grappler during this fight. Moreno has been incredibly tough to deal with when he's able to capitalize on the slightest mistake, and he will absolutely make Pantoja pay for anything he does wrong in this fight. That ability to win in those scrambles on the feet and on the ground should pay dividends for Moreno when the scorecards are tallied at the end. Highly touted flyweight prospect Andrea Lee will make her long anticipated debut at UFC Fight Night in Chile when she takes on Venezuelan-born fighter Veronica Macedo. Macedo has only had one fight thus far in her UFC career and that ended with a TKO loss courtesy of Ashlee Evans-Smith. As for Lee, she comes to the UFC on a four fight-winning streak and victories in six out of her last seven fights. Lee also holds wins over both Rachael Ostovich and Ariel Beck, who just recently competed on The Ultimate Fighter. Lee is a multi-time striking champion in both Muay Thai and kickboxing and she also holds four career wins by submission. Lee is the definition of a well-rounded fighter, so she won't fear anywhere this fight takes her. Macedo certainly isn't going to roll over and play dead, but she's definitely fighting an uphill battle in this matchup. Macedo has won the majority of her fights by decision, although she does have one knockout and one submission to her credit in previous bouts. As a former bantamweight, Macedo might have a size or strength advantage once she steps into the Octagon, but she's going to be dealing with an offensive juggernaut in Lee, who will be coming after her from the opening bell until the referee signals a stop to the contest. Lee is a name to watch in 2018 and this fight should give her an opportunity to shine while introducing her to the UFC audience at large. Following a tumultuous series of weight cuts that saw him fail to make the lightweight limit several times in a row, Michel Prazeres will venture up to welterweight, where he meets the always tough Zak Cummings. Prazeres has been a very tough customer to deal with during his UFC career, with wins in eight of his past nine fights with his only loss coming to former title contender Kevin Lee. Outside of that lone setback, Prazeres has taken out a laundry list of top opponents, including Gilbert Burns and Mairbek Taisumov. Unfortunately in several of those fights, Prazeres came in as the much bigger fighter as he struggled to make the lightweight limit. Now he goes up to 170 pounds, where he will be giving up a lot of size, especially against somebody as massive as Cummings. Cummings will have a massive eight-inch reach advantage in this fight not to mention a six-inch height advantage over the much shorter Prazeres. Add to that, Cummings is a huge welterweight, so by the time these fighters step into the Octagon together, the size difference will be rather apparent. Cummings does a tremendous job using his size and power to his advantage and he'll look to do that again while bullying Prazeres around the Octagon. Cummings won't wow anybody with his technical prowess on the feet or on the ground, but he always seems to find a way to get the job done. He hits hard, he's a powerful wrestler and he's very slick with an underrated submission game. 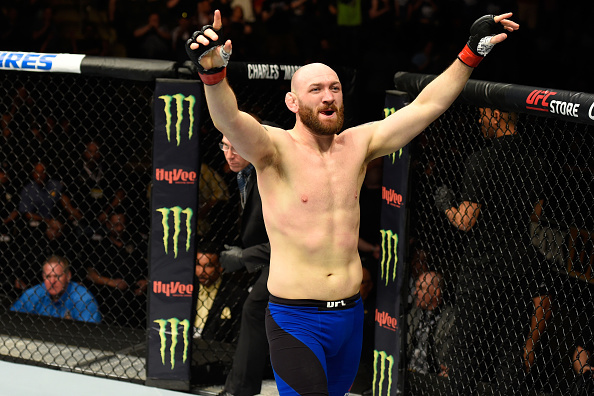 Plus, Cummings' only setbacks in the UFC have come to top-flight competition, with losses to Santiago Ponzinibbio and Gunnar Nelson, who are both ranked in the top 15 in the world. That's just more of a reason why Cummings has to be a very solid pick to get the job done on Saturday with his superior size and power, as he'll look to muscle his way to victory while giving Prazeres a rude welcome to the division. Alexa Grasso has been called the next great prospect to come out of the UFC women's strawweight division, but she may run into an even tougher fighter this weekend as she takes on former Ultimate Fighter winner Tatiana Suarez. Suarez is only 5-0 in her career, with two of those victories coming in the UFC, but make no mistake about it, this wrestler turned fighter could be a future title contender. Chances are Suarez will tell Grasso exactly what she's going to do in this fight and then leave it up to the native from Mexico to do her best to stop it. Suarez is a grappling machine with arguably the best takedowns in the strawweight division. She's averaged more than five takedowns per fight with an incredible 87 percent success rate. In other words, if Suarez wants this fight on the ground, chances are Grasso will be planted on the mat. The key for Grasso is finding a way to stave off those takedown attempts, but while she's shown solid defense in the past, she's never faced a wrestler like Suarez before. Grasso is very quick with her hands and she's durable, so she'll stick around from the first minute of this fight until the last, but unfortunately for her sake, she might spend the majority of this fight on her back just gasping for air. Suarez is a monster when she lands on top, and while she's not inept on her feet by any stretch of the imagination, she has to know that her best chance to win is by taking this fight to the ground. Look for Suarez to swarm on Grasso early to get this fight to the mat, and that's where the majority of the action will take place for all three rounds. Suarez has a great submission game, so if Grasso makes a mistake, the former Ultimate Fighter winner will certainly take advantage but chances are this will see the final horn. In either case, Suarez remains a great pick to get the job done on Saturday in Chile.